Mannheim, 20 July 2018… The Röchling Group has completed another step in its growth strategy. 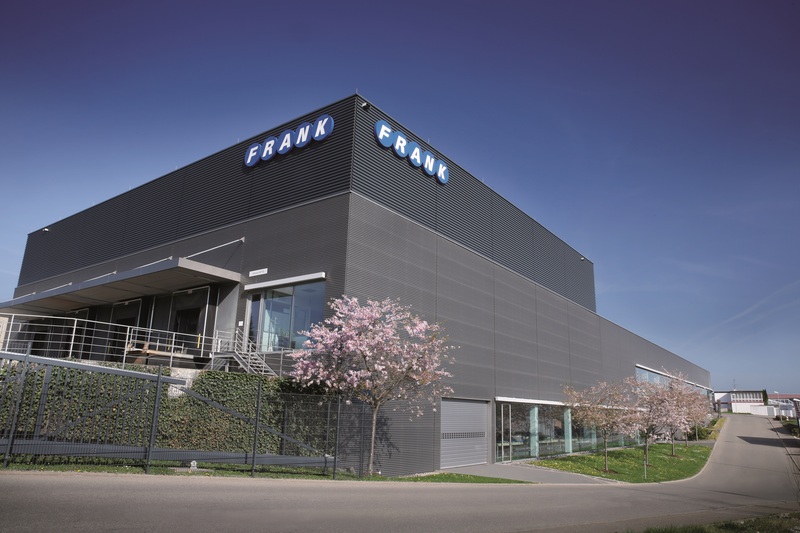 Subject to approval by the Cartel Office, the plastics specialist from Mannheim has acquired FRANK plastic AG, a medical and industrial technology provider headquartered in Waldachtal, Baden-Württemberg. Just a few weeks ago, Röchling acquired U.S. medical technology specialist Precision Medical Products. “With this acquisition, we are continuing to pursue our growth strategy in the medical and industrial segment. FRANK plastic AG perfectly complements our product portfolio, our production technologies, and our customer structure,” explained Prof. Hanns-Peter Knaebel, CEO of Röchling Group, who is also in charge of the Medical division. He went on to note that in terms of size, focus, technical expertise and cultural qualities, FRANK plastic AG fits very well into the network of Röchling companies. “Its Waldachtal site will be the starting point for national and international success,” said Knaebel. Joachim Lehmann, BU Director Medical Europe for the Röchling Group is confident that the partnership will be beneficial for FRANK plastic AG and the Röchling Group. “With FRANK plastic we have the option of cultivating additional client potential, especially in the growing medical technology market,” commented Lehmann. FRANK plastic AG is a family company rich in tradition. It was founded in 1940 in Waldachtal near Freudenstadt in the Black Forest and was acquired in 2013 by Ferdinand Piëch Beteiligungs GmbH. In recent years, it has grown from being a provider for various industry segments to a being manufacturer that focuses on the medical segment and other select industrial segments. In the 2017 financial year, the FRANK Group had 260 employees and revenues of EUR 32.4 million. FRANK provides medical technology for such segments as cardiology, infusions, angiography (CT/MRI), surgery and ophthalmology. The company's industrial business supplies select segments with extrusion profiles, complex injection molding parts as well as valves, flow meters, and fittings. In the future it will work closely with Röchling Industrial. “We decided to sell our shares in FRANK plastic AG and partner with the Röchling Group because we feel this offers the absolute best outlook for the future and for further growth – not just for the company but for the location as well,” said Ferdinand Piëch of Ferdinand Piëch Beteiligungs GmbH. In light of the changes in medical product approval requirements by the EU in 2017, it is becoming increasingly difficult for smaller companies to stay competitive on this highly regulated market and to continue their growth in the years ahead. “Our alliance with the international corporate network of the Röchling Group gives the employees in Waldachtal good prospects for the future,” added Piëch. The Medical division of the Röchling Group focuses on the areas of pharmaceuticals (primary packaging and drug delivery systems), diagnostics / patient monitoring, life sciences (dialysis and infusions) and minimally invasive surgery / interventional medicine. “FRANK's current product portfolio is a perfect fit for this market segment and is a complement to the product portfolio of the Röchling Group,” said Knaebel. Thanks to development partnerships with a number of customers in years past, FRANK has reinforced its own development activities and introduced an innovation management concept. The company has also acquired significant skills in the area of regulatory affairs (certification, registration, and approval of medical products). “This regulatory expertise and current innovation management concept are essential additions to the skill set for the Röchling Group's network of medical companies,” explains CEO Knaebel. FRANK has impressive expertise and a broad spectrum of production technologies in the area of medical technology and industry. Injection mold manufacturing began back in 1960 and extrusion technology was added in 1970. Back in 1980, FRANK put its first clean room into operations for medical production. Alongside some 70 injection molding machines, 40 of which are in an ISO 8 clean room, there are some 18 extrusion lines in operation. There are also a number of machining centers installed. While the production technologies complement those of the Röchling Group, in some cases they provide key additional expertise. One example is clean room pipe extrusion. FRANK plastic, as a new affiliate of Röchling Medical, will be a very important part of the global corporate network for the Röchling Group.